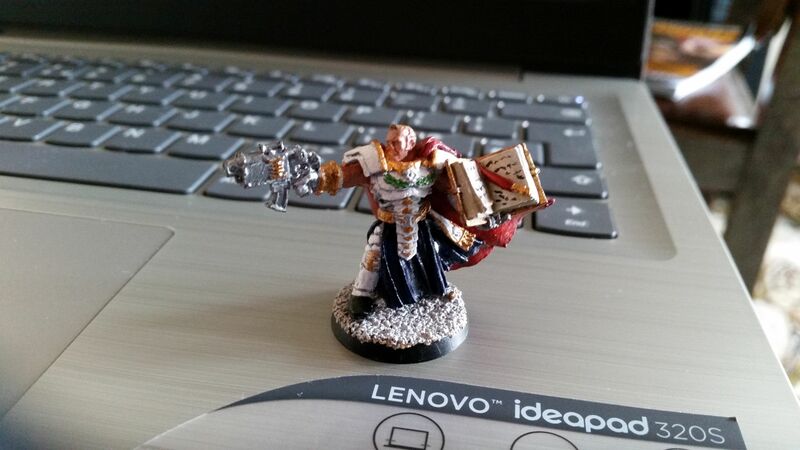 This (and apologies for the poor paint job / image) is Inquisitor Emerson. I play Warhammer 40K. I’m sure I’ve banged on about this in the past. Its not something I hide. Recently I’ve been bogged down in too many miniature painting projects for too many army ideas and, as is often the case with such procrastination, very little has been done to complete any of these projects. But ages ago I had a daft idea for running my regular games with more of a narrative in mind. It doesn’t really matter if my opponent does the same, only that I do. And it means i can swap different detachments in and out of my force and as long it keeps to the overall story then I can justify keeping that army around rather than have lots of disparate elements that don’t seem to gel, or ever get finished. So, I’m going to build something round Inquisitor Emerson. I was tempted to repaint the model as I’ve come on considerably with my painting but I’m fond of him so I’ll probably stick with it. I have a few ideas of a wee retinue that would follow him about and would join him in games as required. Also, two other Inquisitors, named Lake and Palmer. Just because. I have a game coming up on Sunday so I think I’ll write a wee background story and one that help theme my army. Let’s see what I come up with.